A meta-analysis of 20 trials and more than 5000 women doing IVF concluded that those who had a poor chance of success could benefit from acupuncture at the time of embryo transfer. 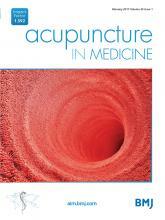 This review of twenty-nine randomised controlled trials (including 3519 patients) found that there was a significant reduction in nausea and vomiting in pregnancy with the application of various acupuncture techniques, when trials reporting dichotomous data (ie symptoms improved or not) were analysed. 73 % fewer patients had symptoms after treatment compared to those who did not have treatment. However when trials reporting continuous data were analysed this difference between treatment and control groups was not found. The included studies examined acupressure, acupuncture, auricular acupressure and moxibustion. Treatment duration varied from four to ten days in 25 studies. Four studies continued treatment for two to four weeks. Treatment frequency varied from once a day to once every week. The authors advised that these findings need to be evaluated in future clinical trials with rigorous design and large sample sizes. 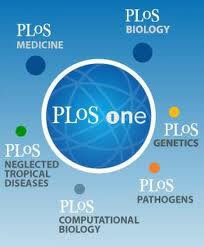 European Journal of Integrative Medicine. The most recent meta analysis of outcomes for IVF patients concluded that those who had acupuncture during their cycle compared to those who had routine care, had a higher chance of having a live birth. However the authors believe that more trials are warranted to further validate its effects. This systematic review of randomised controlled trials examined the effect of acupuncture on 430 PCOS patients undergoing IVF, The findings indicate that acupuncture (both electro acupuncture and manual acupuncture) improves pregnancy rates and reduces the risk of OHSS. Acupuncture was delivered only during the IVF cycle and did not improve live birth outcomes in this review. Further studies are recommended to examine the efficacy and safety of acupuncture in PCOS patients doing IVF. Data from nearly six and a half thousand women undergoing IVF reveals that acupuncture improves pregnancy rates especially when it is carried out in the stimulation phase of the IVF cycle when the follicles are developing (compared to acupuncture applied only on day of embryo transfer). In general studies carried out in Asia using electro acupuncture showed a stronger trend to improved IVF outcomes than did non Asian studies that did not use electro-acupuncture. 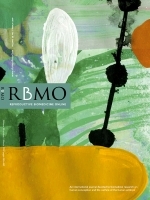 A review of 21 Randomized Controlled trials (that included nearly 5,500 patients) concluded that while acupuncture administered to IVF patients only at the time of embryo transfer did not confer any significant advantage, acupuncture administered during the IVF cycle stimulation phase and/or during implantation phase in addition to treatment at the time of transfer showed significant improvement in pregnancy rates. This collaboration between China and the UK analysed 20 eligible randomised trials that looked at the effect of Chinese herbal medicine taken during IVF cycles. 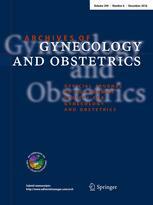 Most IVF clinics in the west discourage the use of herbs during IVF, so the 20 trials used in this meta-analysis came from IVF clinics in China, and were reported in Chinese medical journals.The combination of Chinese herbal medicine with IVF significantly increased the pregnancy rate, though the authors express concern about a risk of bias since reporting and analysis requirements are different in Chinese journals. Hence further large RCTs are warranted before a recommendation can be made to administer Chinese herbs during IVF cycles. Lee Hullender Rubin and her colleagues retrospectively analyzed the outcomes of more than a thousand IVF cycles, and found that women who used Chinese Medicine (acupuncture with or without herbs, dietary advice etc), had a higher live birth rate than those doing IVF alone. The proportion of live births was significantly higher in the Chinese Medicine group (61.3%) compared with either the usual IVF care (48.2%) or acupuncture only on day of embryo transfer (50.8%). Women in the Chinese Medicine group had on average 12 acupuncture treatments before and during the IVF cycle. While this audit is a useful perspective of Chinese medicine as it is practiced in real life situations, more trials that examine the action of Chinese medicine as an individualised therapy will be needed before conclusive recommendations can be made. Infertility patients in general, and IVF patients in particular, are a group who are vulnerable to false or inaccurate claims made by medical specialists or practitioners of various therapies. This survey analysed 112 acupuncture websites for claims made relating to fertility and IVF, and found all but one sadly lacking in accuracy and correct representation of research findings and appropriate clinical therapies. The website you are reading now however, was found to be balanced and reasonable in its representation of Chinese medicine treatment of fertility and IVF patients based on research findings. Chinese medicine compares favourably with pharmaceutical treatment for infertility according to this meta-analysis, which summarises the findings of 40 trials involving more than 4000 patients. The author concludes that management of female infertility with Chinese herbal medicine can improve pregnancy rates 2-fold within a 3-6 month period compared with Western medical fertility drug therapy. In a thorough and balanced review, a team of researchers from Australia analyse acupuncture and fertility trials from more than 100 reports from around the world. They note that while many trials have looked at acupuncture performed on the day of embryo transfer in IVF cycles, few have looked at how Chinese medicine is usually practiced, and has been practiced for many hundreds of years, in the treatment of infertility in general. There is some evidence of the effect of acupuncture on menstrual health in general, but more needs to be done researching the treatment of infertility with individualised chinese medicine protocols.